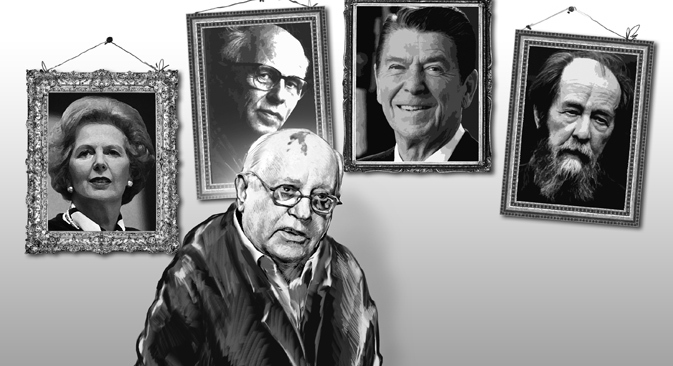 Two expert views on why Gorbachev’s historic reforms still matter today. A full thirty years after Mikhail Gorbachev set the USSR on an irreversible trajectory toward a more open, humane society – and ultimately, toward the country’s dissolution – many Russians continue to reject the idea that perestroika represented a step forward for the country, especially in terms of its geopolitical consequences. In an RBTH exclusive, Gorbachev’s former press secretary Andrei Grachevasks why the perestroika era remains such a controversial part of the nation’s history. Fyodor Lukyanov argues that the development of Russia’s current anti-Western position and foreign policy was inevitable given the response of the West to the collapse of the USSR in the wake of perestroika – but that pursuing an ideology based upon suspicion and mistrust combined with efforts to reshape the historical narrative is ultimately a false course. Thirty years ago, in 1985, Mikhail Gorbachev was unanimously elected as the new General Secretary of the Central Committee of the Communist Party of the Soviet Union. No one could imagine then what radical changes were ahead for the country in the near future. Perestroika and "new political thinking" became a unique phenomenon. Disputes about perestroika will never lead to a final verdict on what it was and why – the consequences were on too large a scale and clearly unintended. Today, amid a bitter conflict between Moscow and the West over Ukraine, what was believed to be perestroika’s most important achievement – the end of the Cold War and the exit from a systemic confrontation – now also raises serious doubts. Gorbachev’s principle of "New Thought" was so idealistic that most observers could not believe in its seriousness for long. One can discuss the degree of professionalism wielded by the country’s leadership, the impact of the economic crisis, the combination of circumstances, but this does not negate the main point. The Kremlin really believed that – on the basis of universal values and the advanced demonstration of goodwill – it was possible not only to stop the confrontation and eliminate ideological oppression, but also to agree to build a different world – a fair and equal one. The political pendulum swings, and the farther it goes in one direction, the quicker it goes back. The atmosphere of today's Russia is the opposite of the one that prevailed during the Soviet perestroika. Instead of idealism, there is exceptional realism, sometimes in its extreme manifestations. Disbelief in any tools and mechanisms, except for one’s own strength. Not merely an absence of trust in the West, but also the refusal to recognize any motives for their actions except hostile and selfish ones. There is no reason to be surprised. Perestroika did not end as its authors intended. Consequently, attempts to overcome the collapse of one state and build another became the content of the next period in Russia. The opponents of the Soviet Union won. It is pointless to be indignant at the fact that they tried to make the most out of it – who would have acted differently in their place? Had the USSR won the Cold War, it would hardly have hesitated whether to accept the Netherlands or Portugal into the Warsaw Pact. But moreover, it would have been strange to expect that, after this experience, the Russian authorities would retain any illusions about the desire of the powerful to limit themselves by their own will. And to believe sweet speeches that a "zero sum game" no longer exists. I won't even talk about the lessons of "humanitarian interventions…" The fruits of all these events are that Russia today, perhaps, is more wary of the outside world than the Soviet Union before perestroika. The rollback from the idealistic interpretation of the world is explainable. It is worrying that the "hyperrealism" of betrayed hopes is generating schematization and extreme simplification. Dissatisfaction with the result of perestroika forces the national consciousness to see it and its consequences not as a stage in the country's development, determined by the laws of nature and logic of preceding events, but as some aberration, something almost alien. It is human nature to idealize the past, especially when a person is not happy about the present and the future is still swathed in mist. Russian society lacks reflection, which has nothing to do with either the comforting gloss placed on the path already trodden, or the masochistic spitting on it. The groping for a new national identity is currently leading to attempts to adapt history – especially recent history – to the needs of "historical optimism," that is to avoid an objective understanding of its tragic or multidimensional, ambiguous pages. Perestroika ended dramatically. But this drama is worthy to be evaluated not only its geopolitical or socio-economic way, but as a very important moment for this country – of a human impulse, a desire for renewal and purification. Whatever mistakes were made, however they were used by anybody in their own interests, the role of such episodes in the history is invaluable. Perestroika showed what an overabundance of idealism and faith in human nature leads to. Now we seem to be approaching the realization of another truth – that it is also impossible to build something sustainable on pragmatism and mistrust alone. The author is the editor in chief of Russia in Global Affairs and chairman of the Presidium of the Council on Foreign and Defense Policy, a non-governmental think tank.